Walcott Replacement Surgery Eyeing up a replacement for Walcott? After an attractive bout of form since his return to the Arsenal squad, many fantasy managers added Theo Walcott to their team. Now, after being ruled out for the rest of the season, we take a look at some potential candidates to fill his boots in your fantasy team. This season has seen many ups and downs in the Fantasy Premier League midfield option. With teams like Chelsea, Arsenal scoring many goals from midfield this season you can't afford to have a duff player in your midfield lineup. We have analysed a few of the possible replacement options and provided our opinion on each one. After a quality period before Christmas this favourite of the Saints fans is a creative, and goal scoring player. With a few moderate games including West Brom at home, Sunderland and Fulham away, this player could spice up your attacking midfield. With Walcott, Giroud and Bendtner all missing, perhaps Cazorla will help to fill the void. Smart money may be on Ozil but with a slightly cheaper price and a better differential option, perhaps Cazorla could haul some decent points. Ozil has delighted fans since his big money move. Mesut Ozil has been a creative genius for Arsenal and will likely provide many of Arsenals attacking chances in the coming games. A safer bet in the Arsenal squad given his status, he will almost certainly be afforded both playing time, and creative freedom to continue Arsenals title challenge. Eriksen has had a mismatched season so far. Christian Eriksen has been played in a left wing floating to a more central position so far since Tim Sherwood took over from AVB during the festive period. He has delighted Tottenham fans with a fantastic performance against Manchester Utd on New Years Day, which they won 2-1, with a goal and assist. This player, at only £7.2, could be a brilliant option for your midfield with Spurs' attacking style of play under new boss Sherwood. Nasri has shown some glimpses of his real talent lately. Samir Nasri, although slightly inconsistent, has shown he can score, and create goals this season. However with a recent run of poor return and some tough games coming up, maybe he's more of a plump than a trump. Navas is a speedy winger known for his lethal attacking ability. 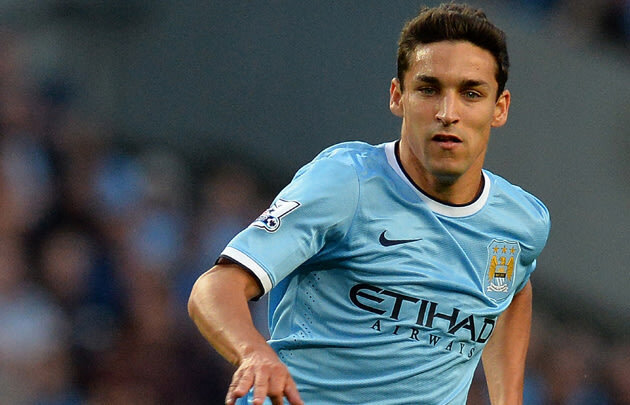 With a solid return of points recently, Navas looks a better option than Nasri. Having been rested against League Cup Semi Final vs West Ham, which they won 6-0,he may be fresh and ready to keep the points rolling in. Walcott looks set for a length spell on the sidelines following an unfortunate injury in Arsenals game against Tottenham in the FA cup 3rd round.